Don’t Make Me Blush… Oh no, wait, DO! Blush. Pretty basic, right? Well, head over to a makeup counter, and you’ll see you have quite a few options to choose from. Let’s break down the different formulas, so you can choose what’s best for you. These are the most recognizable and easiest to use. Feel the formula with your fingers and read the packaging. The more finely milled the powder, the more natural is will look and feel. Some have more pigment, while some have more “binder” (other stuff that holds the pigment together). 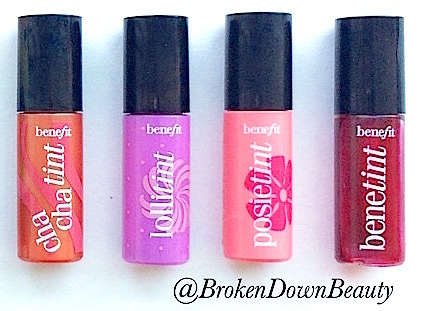 If you want a stronger color payoff that’s more intense, go for something highly pigmented. If blush scares you, or you’re worried about laying on too much, go with a formula that isn’t as strongly pigmented. Try swatches out on your hand. See how much color gets laid down when you swipe it on with your fingers. Use a giant, fluffy, natural hair (or imitation natural hair) brush that’s just slightly smaller than your foundation brush. You can also use a contoured blush brush if you choose [See my article on brushes if this brings up any questions for you!]. You should apply powder blush to the apples of your cheeks, sweeping back towards the hairline, after you have applied your foundation, foundation/setting powder, and AFTER bronzer (if you apply blush before bronzer, it’ll get swept away with the bronzer application. You don’t want to lose all that hard work!). When applying powder blush, put a little blush on your brush and start at the apples of the cheeks (aka the fattiest part of your cheeks halfway from your ear to your nose). You can swipe back and forth in the direction from the nose to your hairline. You don’t want a giant streak of blush, however, so also make sure you sweep blush on in small circles form the apples of your cheeks to your hairline. If there’s not enough color, dab your brush into your blush again, and repeat until your satisfied. Easy to blend. Can be layered, so you can achieve a subtle or more intense look. These most likely aren’t going to last all day. It’s just a powder after all. Every time you touch your face, you’re going to be brushing some of it off. It also won’t hold up if you’re in a hot, humid climate, or if you want your makeup to last through spin class. They might come in a pot or a compact that, upon first glance, looks like a powder blush. Some are sticky, while some are more like a creamy powder. They deposit more color than powder. After applying your foundation, you can decide to put on your cream blush before you apply your foundation/setting powder or after. 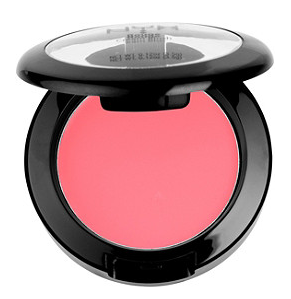 If you apply blush before your powder, the poweder will dampen down the color and help set it. If you put the cream blush on after, you will have a stronger color payoff. Your choice, really. Dip your ring or middle finger into your cream blush. You don’t want to use your pointer finger because it’s the stronger of your fingers, and you want this application to be light and gentle. Then you can tap your finger on your cheek, starting on your apple, and work back and forth upwards toward the hairline. This is called stippling. You are essentially pressing the blush into the skin. Keeping patting in little, gentle pats, until the blush is blended. This is better than rubbing the cream blush into the skin, because then it will rub off your foundation. You can rub a little if it’s really not blending. Just go easy! Regardless of if you brushed on your foundation/setting powder before or after your cream blush, you can also dust on some powder blush over your cream blush. It will intensify and set the color. 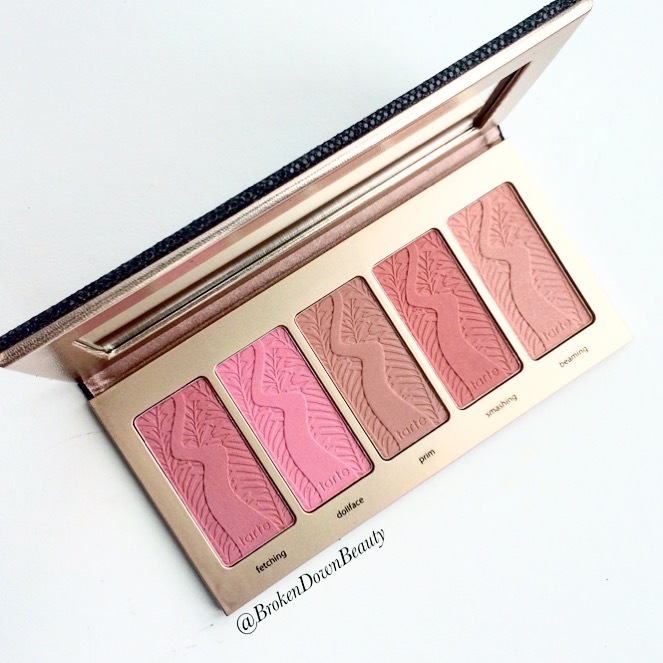 The blush can be the same color as the cream, or it can be different for a different effect. They stay on way longer than powder. They also have a stronger color impact than powder, so you can use less to achieve the same look. Since they are more potent, you have to be careful not to be heavy handed. Cheek stains are probably the most difficult to work with, because they are more runny and fluid than a cream blush. You also have to work quickly and know what you’re doing, as cheek strains are harder to blend. You simply put some of the fluid on your fingers and dab them on your cheek like a cream blush. As these are liquid, you can rub them in more and it won’t strip your foundation like a heavier cream blush would. These stay on the longest. They are also not as opaque as cream blushes, and so can sometimes look more natural. Many are packaged as lip and cheek stains, so you get the added benefit of using it as a lip stain [See my article Not Just Lipstick Anymore for more info on lip stains]. Cheek stains can get messy, are difficult to blend, and stain your fingers during application. Make sure you keep a good makeup remover nearby so that you can clean your fingers immediately after you apply it. Don’t try using a brush to avoid getting it on your fingers. It’ll be a streaky mess, and I guarantee you’ll just need to use your fingers to blend anyway.